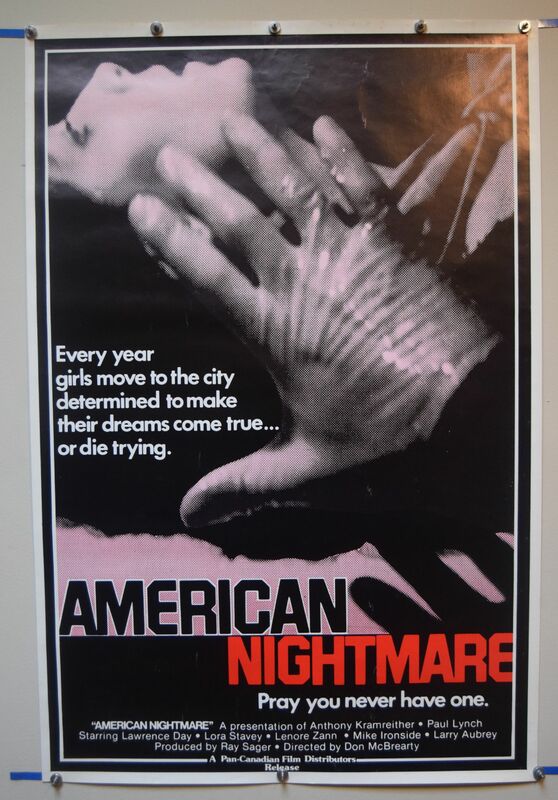 American Nightmare (Pan-Canadian Films,1983) US One Sheet Poster Size 27" x 41"
Directed by Don McBrearty. Starring Lawrence Day and Michael Ironside. The poster is rolled and has light surface scuffs. Displays great!